After three days at Silverstone I decided another day trackside wouldn’t hurt and I travelled to Oulton Park for British GT’s race day. British GT has some very nice supporting races, my favourite being the Ginettas. Call it luck if you will, it was raining. Somehow these cars just seem to enjoy a wet track. The action doesn’t stop at all. They’re all racing as if their lives depend on it (the drivers, of course, not the cars). Another support race is BRDC British F3 Championship which is also always good to see. With fewer cars on the track it seems a bit less tight, but the racing is equally passionate. I always enjoy seeing the Volkswagens race. This year they were joined by two Audi TTs which makes a nice change too. Quite frankly, there is so much going on on track it would take too long to write about every race in the action filled day. So let’s move on to British GT. After all, that was the reason I went. 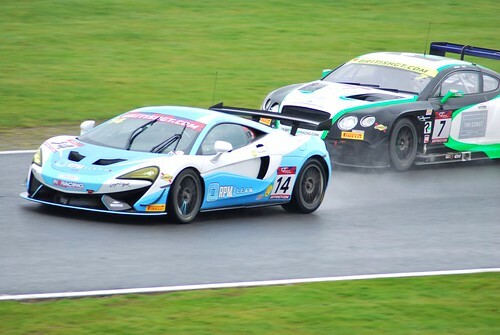 There is some incredibly close racing in British GT. Together with teammate Derek Johnston Jonny managed to grab a podium spot in both races on Monday. Some start of the season! This year will very much be about Jonny. As said, he’s racing in WEC and British GT, but he is also joining Oman Racing again in Blancpain GT Endurance Cup. I follow all three series, so I will be seeing quite a lot of Mr Adam, I reckon. 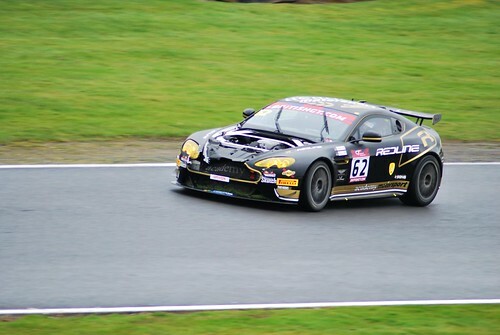 The Academy Motorsport Aston Martin lost its bonnet very early on in the race, but they – seemingly quite happily – carried on without it. To be honest, there are other Aston Martins in British GT, so I have more than just one reason to go. One of the main attractions I find the sheer variety of cars. The Bentleys are always a joy to watch and even more so to hear. I might not be a fan of Mercedes, but on track they look pretty awesome. The McLarens always look good and you can’t go wrong with Lamborghinis in race attire. 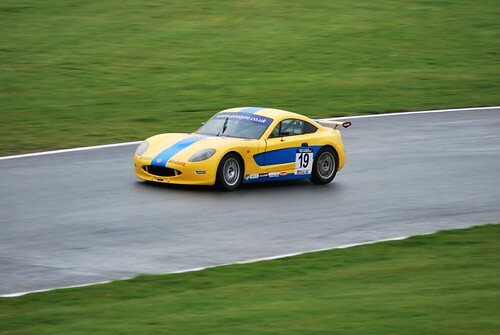 Oh, let’s not forget that British GT also has its fair share of Ginettas.